Marine Harvest will skin-pack fresh salmon at Glommen, Sweden, where it has had a processor presence since 2016, writes newspaper Hallands Nyheter. The world’s largest salmon farmer will take possession of Falkenberg Seafood’s cluster of buildings, closed down in 2017. The site’s real estate is owned by local Falkenberg Township, but Marine Harvest moves in on May 1st, a national workers’ holiday in Sweden and Norway. “We have looked at a number of sites on the west coast (of Sweden), from Goeteborg to Malmoe. The locations in Glommen were the best for our enterprise, as we have not need to make big changes and the site is accessible,” Marine Harvest sales director, Marcus Axelsson, was quoted by Hallands Nyheter as saying. He says production will start late this summer with 15 new jobs. 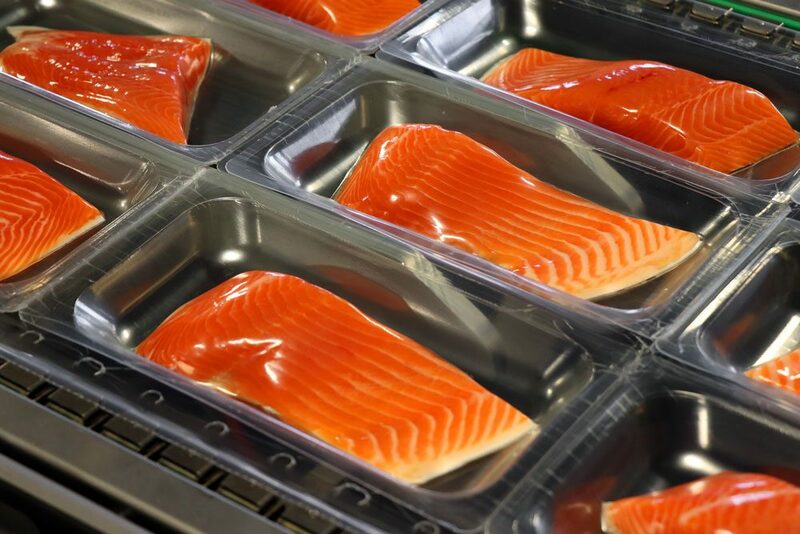 Since their introduction in the UK and elsewhere around 2012 by companies like Packaging Automation and XtraPlast, skin packed salmon has reportedly lowered packaging costs by up to 90 percent due to a simplified run. Retailers gain from extra shelf life, and they can be gas-flushed or vacuum-sealed.